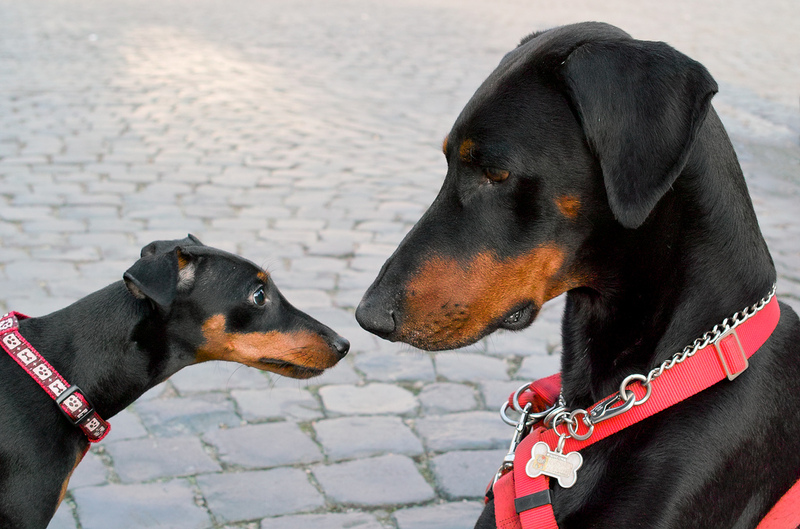 The Miniature Pinscher is commonly thought of as a mini Doberman because of the similar appearance. Find out more about this small and spunky breed. The Miniature Pinscher, a.k.a. Min Pin, is a small, square-shaped dog who looks like miniature Doberman Pinschers. 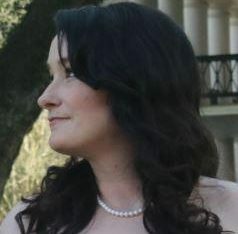 They have dark, oval eyes; high-set ears that stand erect if cropped; small feet with toes similar to those of a cat; and a tail that’s usually short and erect. The tail is typically cropped, although this practice is illegal in many European countries for non-working dogs. The short coat is smooth, and standard colors include red, stag red, black with rust, black with tan, chocolate with rust and chocolate with tan. The Min Pin is thought to be centuries old, but factual evidence dates them back only 200 years. The breed is native to Germany and was developed from crossing the Italian Greyhound, the German Pinscher and the Dachshund. The dog looks like a miniature Doberman Pinscher because both were created in crosses with the German Pinscher. Min Pins were used to eradicate rodents from barns and stables. Min Pins may be referred to as the Zwerg or the Dwarf Pinscher. One was first registered with the American Kennel Club in 1925, when the dogs were classified in the Terrier Group. They were moved to the Toy Group in 1930. Originally called Pinscher (Toy), the name was changed to Miniature Pinscher in 1972. Despite their small size, Min Pins are brave and fearless. They are energetic and love to play. 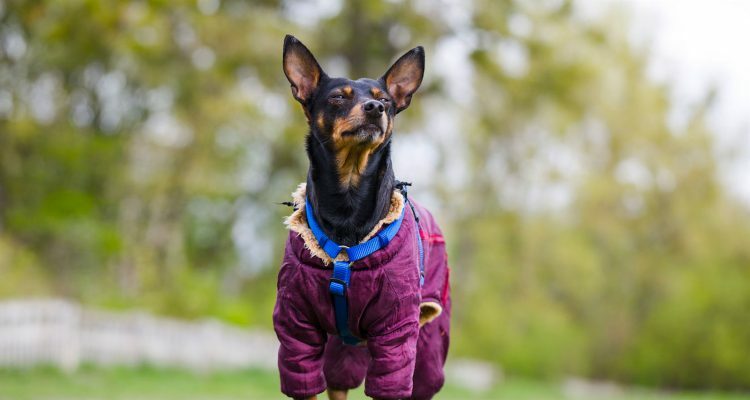 Good with children and other pets, Min Pins boast great their intelligence, which allows them to pick up training easily (although they have been known to be stubborn at times, so persistence is key). They tend to chew on things, so provide enough toys designed for chewing to keep them busy. As with most toy dog breeds, the Min Pin has a tendency to develop small dog syndrome. To avoid this behavior, thoroughly socialize them and reinforce training commands on a regular basis. MEDIUM: This small, energetic dog needs daily walks and play to expel energy. They are small and active indoors, so they are ideal for apartment living. They do have a propensity for escaping and should be exercised in a fenced or secure area with supervision. MEDIUM: Min Pins should be combed weekly to remove dead hairs, and bathing can be done as needed. They are average shedders. They have strong nails that grow quickly, so the nails need to be trimmed often. The ears are prone to wax buildup and accumulation of debris, so they should be checked and cleaned weekly. Teeth brushing is recommended, as it is with every dog. Miniature Pinschers and mixes are relatively easy to find. If you contact a breeder, make sure the dogs are well cared for, happy and don’t show signs of being mistreated. Min Pins with Legg-Calve-Perthes should not be bred, so be sure to ask if the dog and the parents have been tested and cleared (ask to see the paperwork).